Allah O Akbar begins the call to prayer that resonates from minarets inowns and villages from Sinkiang to Morocco, from Paris to Timbuktu. Wherevern the world you are, the message is the same: “God is Great”. 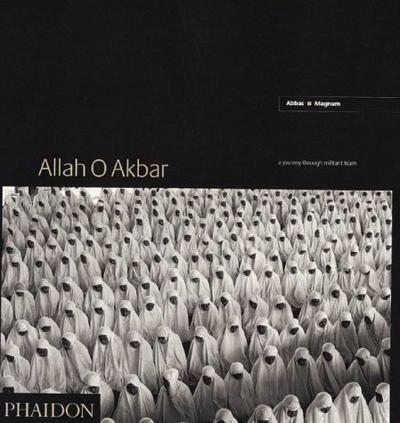 It is also,owever, the cry of fundamentalists throughout the lands of the faithful.bbas has spent seven years travelling throughout the Islamic world takinghe photographs for this extraordinary book. He is driven by a desire tonderstand and expose the internal strains pulling within Muslim societies.any Islamic societies seem shrouded in religious and cultural mystery, buthrough his words and images, Abbas provides a penetrating insight into theecrets of this people and their world. pp. 319; hardcover. Publisher: Phaidon Press, London, 2010. Request info for "Allah o Akbar: a journey through militant Islam"